Fall Colors and Mountain View Through Forest - Scenic landscape with peak fall colors. 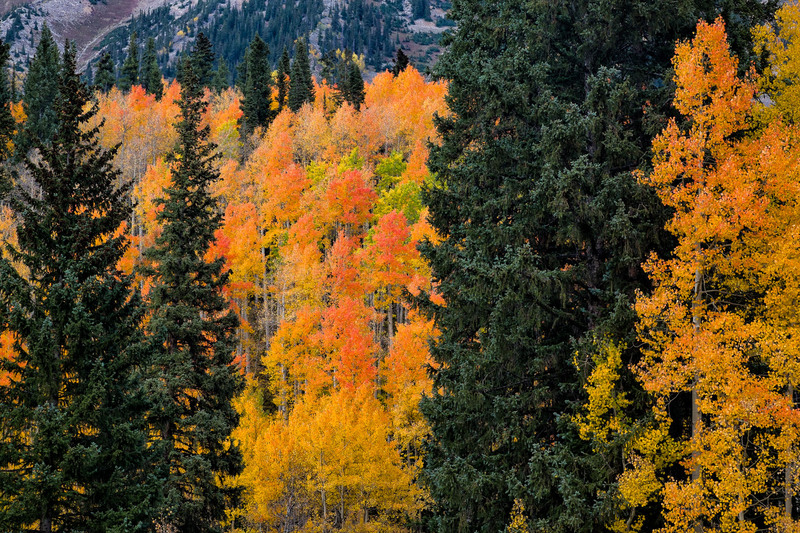 Aspen trees turning gold and orange through sub-alpine forest to views of high mountains. Crested Butte, Colorado USA.